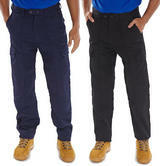 Poly Cotton 235gsm Super Click Drivers work trousers. Zip fly with hook-bar and button fastening. Classic trousers belt loops and 2 Cargo pockets. 2 swing hip pockets and 2 rear pockets with stud flap. Super Click Trousers with Sewn in crease. 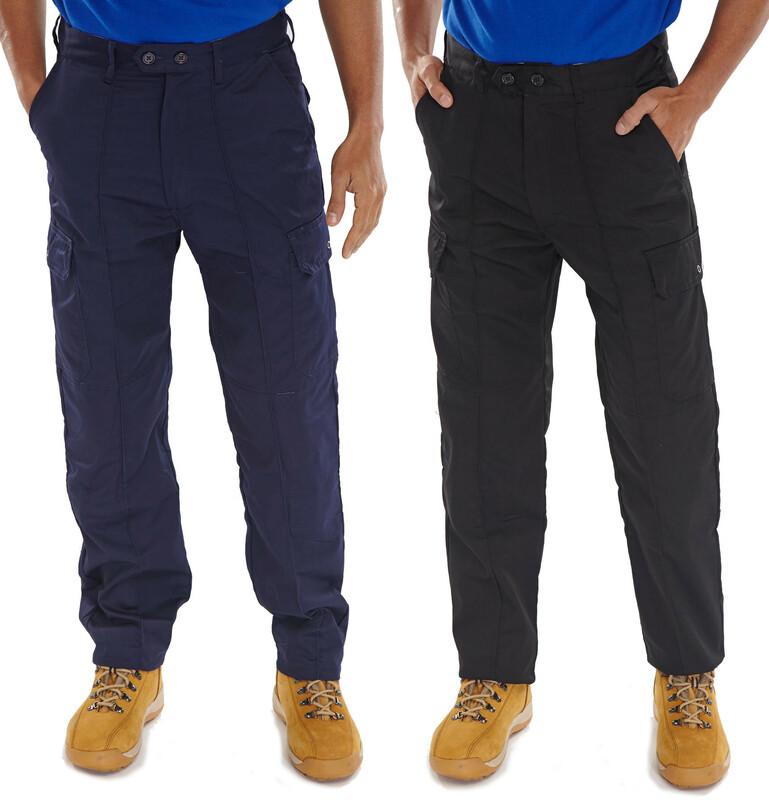 Poly Cotton work trousers with Knee pad pockets.